Shop JBL Bags PRX812W-CVR Deluxe Padded Protective Cover for PRX812W from AMS with 0% Interest Payment Plans and Free Shipping. 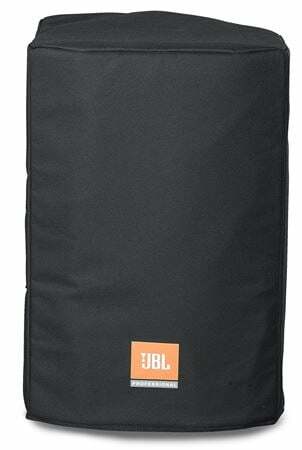 Keep your PRX812W looking like new with the official JBL cover. A deluxe padded cover for your PRX812W to protect it from the elements. Black exterior with printed JBL Professional logo. These bags are a must have if you ar getting the speakers. The fit snug and at padded good. I prefer slip on covers so I can load out quickly. These are very nice looking and fit perfectly. They do not protect the bottom of the speaker so you do have to be a little careful when packing them into a truck or vehicle. Some people prefer a total zip on cover which will protect the bottom but I like the quickness of a slip on cover.